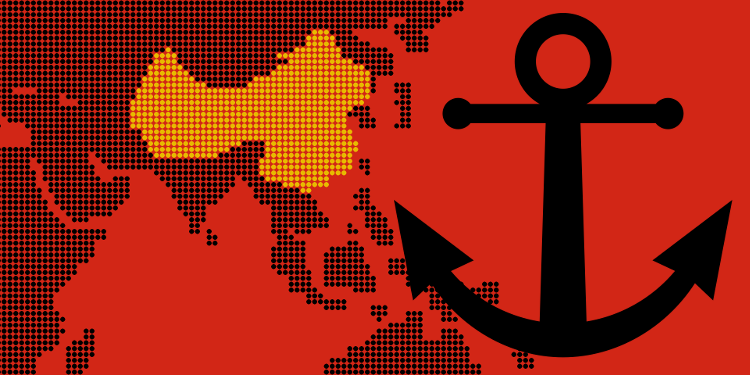 The situation in the Western Pacific grows more precarious. Muslims have taken over some territory in the Philippines. Martial law has been declared in those areas. The Philippines’ president, Duterte, has offered to resign if he can’t keep the peace. For a long time, the Filipino people have wanted respect as a sovereign nation, hungering for that respect as much as China if not more. This has led the Philippines to diminish ties with other nations, including the US, and warm up to China. Sun Tzu might advise that any form of hunger can be exploited as a weakness, including hunger for respect. Now, an extreme sect of Muslims have interrupted the sovereign work of the Filipino government. If any forces lack respect in the Pacific and undermine rule of law, the US is not the foremost among them. The current security arrangement in the Philippines has failed to keep law and order. Duterte’s policies are being put to the test. If he can’t regain control, then both China and the US will step-up their presences. Northern Korea is already stepping up its game, now with rumors of anti-aircraft missiles. The US has sent yet another strike force to Korean waters. China knows the US is the best hope to end the mess on the peninsula, whether in terms of finances, diplomatic affinities, or strength of arms. Importantly, the Western press is mounting a well-published case against the Kim regime comparable to the case the W. Bush administration mounted against Saddam Hussein. In the South Sea, Trump sent his first “sail-by” through China’s man-made islands. US threats to blockade the artificial island militarized bases are not empty threats, not in the least. Nor is China’s threat to declare war if the US follows-through. Trump is going to need to act on North Korea while still on friendly terms with China. Both China and the US know this. With these islands, China and the US can’t play “let’s be friends” forever. The problem of the artificial islets in the South Sea will compel quicker US action on the Korean Peninsula. The majority argument, however, will go to the international view. If China’s military presence in the South Sea is benign, why didn’t China demonstrate respect and stop Muslims from disrupting the China-friendly Filipino government? That’s the question the Western taxpayers will ask, anyhow. The West will have gone to much trouble and will pin China as the perpetrator. But, there is another part of Western Pacific strategy to consider. When the Korean peninsula is united, all those US troops in Southern Korea will be able to point their guns elsewhere. With the US being “the liberator”, the soon-to-be united Korea will not want to side with the People’s Liberation Army of China. China isn’t foolish; they’ve thought about that. Moving on the Koreas will make moving on the South Sea more feasible, from the US military’s perspective. China knows that someone must move on the Koreas and that “someone” can only be the US. After that, islets in the South Sea can quickly be taken and turned against China. With Muslims disturbing the Philippines, Duterte—or whoever is president at the time—may suddenly turn away the Chinese for not helping enough and welcome cooperation with the US. But, if not, the Philippines would collapse if they abandon the mess at home to help China keep the South Sea. Then, the spearhead aims at Taiwan like Saruman marching against the Shire. Two times this weekend, in both north and south of Taiwan, a train hit a person on the tracks. It’s a string of freak accidents that almost seems poetic, but with no explainable meaning as of yet. Moreover, an outspoken DPP associate, Lee Ming-che, is still being detained in China with no statement on which law in particular he violated. China’s situation is difficult and complex, even though the West will tend to take the easy road and villainize China. Beijing needs to retain domestic control. This is all the more evidenced by the situation in the Philippines. Lee is a disturbance, even if his cause is good. China doesn’t see the world in terms of values and ideologies, but in terms of maintaining power in order to maintain peace. Muslims are at China’s doorstep, not only in the Philippines, but also in Malaysia. This is no time for Lee to be stirring up trouble. But, in the eyes of the evermore compassion-driven West, by detaining Lee after speaking out on matters of Human Rights, China is only trying to silence a whistle-blower for blowing the whistle on them. As with the anti-China press war that began in Hong Kong, the Taiwan question comes into play, affecting public image as much as military strategy. Both China and Taiwan have some hypocrisy in the Lee situation. China claims Taiwan as its own territory—though claiming Northern Korea might be more tenable, more affordable, more militarily advantageous, and result in more peace. China certainly has paid the bills in Northern Korea. Taiwan is an island already surrounded by Western allies and is about to be surrounded by even more. Militarily, China’s claim to Taiwan is not strategic, it is about something else. By China claiming Taiwan, Taiwanese have a vested interest in Human Rights issues in China. On the other hand, the DPP, the political party of Taiwan’s freshman president, a political party which Lee is affiliated with, claims that Taiwan is independent. This should mean that the DPP thinks that Taiwan “doesn’t have a dog in that fight” where Human Rights are concerned in China. They want to be independent, yet they also worry about the goings on in China as if they are family. The DPP makes it seem as if they want to have their cake and eat it too. So, everyone is right, and wrong—it depends on who you ask. Eventually, push will come to shove and all the houses of cards in the Western Pacific will crash. If Russia intervenes then they might as well surrender Syria to the States. So, the “Ruskies” aren’t likely to tip any balances. Besides, they would rather bide their time, let China do their bidding, and let the US grow weary. Based on both push and advantage for action in Korea just before action in the South Sea, China could find itself in a checkmate in three moves. Then, we’ll see if that “bromance” between Trump and Xi was all it was chalked up to. China continues an uphill battle with the Western media. Sunflower students were cleared of all charges in their occupation of their nation’s legislature three years ago, almost to the day. Joined by leaders Lin and Chen, Joshua Wong from Hong Kong’s Umbrella movement urged the release of a Taiwanese college instructor, Lee Ming-che, from China’s custody. Lee is an advocate for human rights and is being held for matters of “national security”. The best way to understand the Hong Kong Umbrella movement’s end game is regime change in China. Hong Kong has no military and pro-independence Hong Kongers don’t seem to be advocating mandatory military draft enrollment for all Hong Kong males. Taiwanese males not only have mandatory draft enrollment, but have a minimum compulsory service time after finishing school. Taiwan’s student movement interrupted secret government talks between the US adversary China and the US ally Taiwan. Taiwan purchases military equipment from the US, including Apache gunships and F-16 fighters, though trade was the primary concern of the Taiwanese protest. Both military and trade are China-related talking points from President Trump, especially this week. No such talking points related to the Hong Kong protests. The Taiwanese movement was led by young men who would serve in their nation’s military, disrupted the government’s legislature for three weeks, and resulted in change. The Hong Kong protests were led by young men forbidden by their government from serving in their military, occupied public streets for three months, and only led to international attention. The only way to gauge the Hong Kong protests as a success is if the goal was to stir international attention in the media to raise sentiment against China—enough sentiment that China’s government changes enough to grant Hong Kong independence. That is quite a significant change, enough for China to consider the matter one of national security. So, then, viewing activism as a matter of “national security” in China makes sense. Hong Kong’s status with China and human rights are topics Western media readers are interested in. By detaining people who live outside of China inside of China, activists such as Joshua Wong are receiving all the ammunition they need, courtesy of China. China truly is in a war against the Western newspapers. That is probably why economics are Beijing’s primary tool against North Korea, while Donald Trump seems to have a different strategy in mind. The recent UN Security Council vote against Israel won’t help China’s claim to Taiwan. Taiwan and Israel are poised to gain closer ties in light of last week’s “unintentional Antisemitism” that was heavily condemned and harshly responded to by Taiwan’s president. Now, with China having voted against Israel, and Israel breaking ties with Security Council members who voted, China’s “one country, two systems” policy won’t be as important in Jerusalem. China spit into the wind once again with stepped-up rhetoric over dissidents in the Mainland and in Hong Kong. When Hong Kong left Britain, it’s economy flourished—something similar to how things went in the United States after the colonies left Britain. But, rather than piggy-backing history, Beijing seems determined to repeat it, namely angering the people with unilateral restrictions in policies that mildly resemble the Stamp and Tea Acts. Beijing had inherited paradise. All the Communists had to do was keep their promise to leave it alone. Instead, they vetted Hong Kong legislators before elections rather than reviewing Hong Kong laws after they are passed. And, Beijing still doesn’t understand. Soon, the former British colony will echo the old, “No taxation without representation,” and insist that money never leave Hong Kong for Beijing. It is sad. It has been sad. It will be sad. And, it is all without need. Now, China has opponents on five fronts: Mongolia, Taiwan, Hong Kong, Islam, and, as of this week, Israel. The news in Asia is Trump. Having put their chips with Clinton, some governments in Asia are scrambling to guess what Trump’s next move will be. Japan didn’t interfere. So, things are “business as usual” in Tokyo. While Asian politicians scramble to clean up their attempt to chose America’s next president, they still might not learn from Japan’s example: It is generally best if one country does not interfere with the elections of another country. That election-country boundary is somewhat askew where Beijing and Hong Kong are concerned. Beijing is not supposed to interfere at all, as per the condition of the H-Kexit from Britain in 1997. Beijing did, however slightly and defensibly and yet predictably objectionable, and now Beijing must intervene. Pro-Independence lawmakers inserted a byword for China in their oaths, which legally alters the oath. In doing so, they relegated their oaths’ legitimacy to the determination of higher courts in Beijing. If they couldn’t figure out how not to invite intervention, how could they keep domestic peace as lawmakers? If they didn’t know the legal meaning of words, how could they craft laws with proper wording in Hong Kong? Though unanswered at this time, these are questions their actions begged, making their argument for the second H-Kexit less credible, but, nonetheless more infamous and more famous, depending on who is asked. Infamy and fame gain equal press. “Press” is the battle HK Independence advocates win every time, which is why some in Hong Kong argue that “press” is all they want. But, there is always more going on. In answering the metaphoric question of whether to be the dead lion or the victorious fox, the Hong Kong Umbrella students chose to be dead foxes. Some call them “martyrs”. Others call them “dinner”. The weakness and failings of disrespect aren’t limited to Hong Kong. The rest of the world is demonstrating the same toward Donald J. Trump, who did get elected after all. Now, Asia must figure out how to deal with the decision in the US while Trump figures out how to deal with the indecision of Asia. Unlike fame and infamy, decision and indecision fair differently.